10th graders are enthusiastic about their passions. Whether it’s art, music, sports or whatever their hearts are set on, they are ready to make their own way. While some students are passionate about math, others may need additional support for their 10th grade math skills. No matter if your student needs help reviewing concepts or if they want to practice bigger challenges to prepare for the SAT, ACT and beyond, Club Z! 10th grade math tutoring has got them covered. Our 10th grade math tutors connect with students in ways that make math relevant and engaging for them. By providing real-world applications and showing where strong math foundations can lead, our 10th grade math tutors provide your student with a math mentor who can help make sense of each new concept and give them the tools and confidence to succeed throughout high school and beyond. Our Z-Match process will ensure that you find a tutor who is the right fit for your teen – so not only will they see improvements to their math scores, but they will also be more confident and understand the importance of math concepts in the real world. Keeping up with updates in technology and 10th grade math lessons can be difficult for parents who were taught different methods when they were in school. That’s where our math tutors can make a difference. Our 10th grade math tutoring worksheets help students develop solid mathematic foundations. Our most popular worksheets cover 10th grade math topics such as algebra, trigonometry, geometry and more. Club Z! 10th grade tutors also have an array of engaging and exciting 10th grade lessons to help with topics like integers, graphing concepts, geometry and statistics. When your student encounters difficult 10th grade math word problems, a Club Z! 10th grade math tutor will give them the practice and confidence to succeed. Meet one-on-one with a private math tutor that specializes in 10th grade math. Club Z!’s in-home 10th grade math tutors are thoroughly vetted and background checked, and must either be a teacher or have a degree in their field of expertise. We understand that each student learns differently, which is why we work with students, parents, and teachers to develop a 10th grade in-home math tutoring plan that accomplishes everyone’s goals. Seeing progress in math subjects is all about maintaining regular practice. That’s why it’s so important to find the right tutor that matches your needs – not just by subject, but based on personality, location and scheduling availability. Our Z! Tutor Match process is a comprehensive system that will match you with a in-home 10th grade math tutor that meets and exceeds all of your expectations. Over our 20 years of experience, we’ve found that a positive pairing between students and in-home 10th grade math tutors is a recipe for effective and long-lasting results. This is a cornerstone of the Club Z! in-home math tutoring program, and has helped our students see excellent results in a short period of time. Whatever the need, Club Z!’s in-home 10th grade math tutoring is capable of helping your child excel in math. When your student needs math tutoring in a short time frame, Club Z! online 10th grade math tutoring is here to help. You can always find a tutor on our online live learning platform. With just four simple steps you can pair your student with an online math tutor in no time. Select your instructor: Choose from our list of tutors – you can see their availability, picture, hourly rates, education background and reviews from past or current students. Chat with your online math tutor: After selecting a tutor, send them a message and begin a quick chat session to see if they meet your needs and expectations. All our online 10th grade math tutors are tested, certified and background checked and many of our tutors have hundreds of hours of tutoring service on our live learning platform. 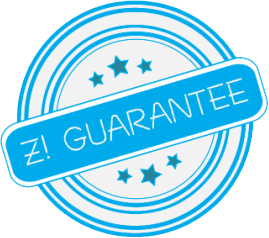 We’re so confident you’ll find the right online 10th grade math tutor that your first lesson is covered by our Z Guarantee – meaning you’ll love your tutor or we’ll cover the first hour of your lesson. “Where can I find 10th Grade Math Tutoring Near Me? Whether you need math remediation, or want math enrichment tutoring to get ahead, Club Z!’s elementary math tutors can help! To find a math tutor in your area, call Club Z! today at 800-434-2582 or fill out our contact form. 9th Grade Math Tutoring with a Club Z! Tutor. Club Z! Tutoring has highly qualified and experienced 9th grade math tutors who provide one-on-one, focused instruction for all high school math topics, including addition and subtraction, multiplication, division, fractions, and even Common Core math. Our 9th grade math tutors will work with your student to not only become proficient but also a leader in the classroom. 10th Grade Math Tutoring with a Club Z! Tutor. Club Z! Tutoring has highly qualified and experienced 10th grade math tutors who provide one-on-one, focused instruction for all high school math topics, including addition and subtraction, multiplication, division, fractions, and even Common Core math. Our 10th grade math tutors will work with your student to not only become proficient but also a leader in the classroom. 11th Grade Math Tutoring with a Club Z! Tutor. Club Z! Tutoring has highly qualified and experienced 11th grade math tutors who provide one-on-one, focused instruction for all high school math topics, including addition and subtraction, multiplication, division, fractions, and even Common Core math. Our 11th grade math tutors will work with your student to not only become proficient but also a leader in the classroom. 12th Grade Math Tutoring with a Club Z! Tutor. Club Z! Tutoring has highly qualified and experienced 12th grade math tutors who provide one-on-one, focused instruction for all high school math topics, including addition and subtraction, multiplication, division, fractions, and even Common Core math. Our 12th grade math tutors will work with your student to not only become proficient but also a leader in the classroom.